We're pretty much done with winter, having turned our gaze forward to longer days and warmer weather. Very shortly, your favourite fashion retailers will be dumping their fall/winter stock in favour of the new spring/summer line. We are already in the mode for some news T's, lighter trousers, and yes...even a new swim suit. And who better to make your new swim suit than an Aussie...after all, their populace, and therefore their culture, lives almost exclusively around the water. We came across Made By Jimmy, an Australian maker of fashion forward swim trunks, a little shorter than the standard board short, and a little longer than the bermuda...just right if you will. 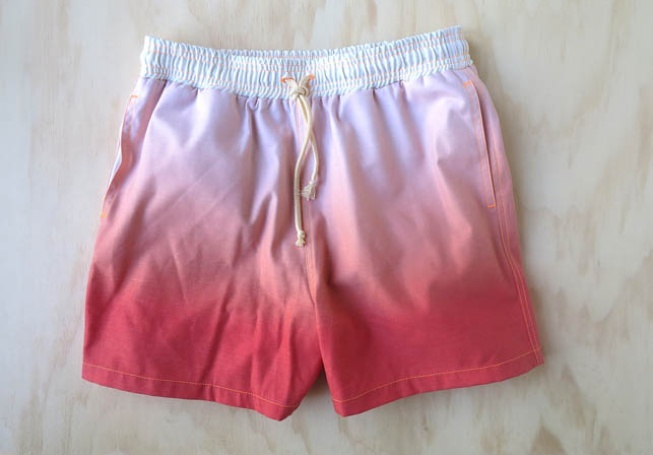 Our favourite is the red fade of the above short, named the Daffy. You can see and learn more here.